Check out my main Picaboo Deals page if you’re looking for the latest Picaboo deal including the amazing 75% off Picaboo Groupon! See my Picaboo X Software Overview. Check out this new feature if you’re interested in seeing all photo book and photo related Groupon deals regardless of city! The folks at Picaboo contacted me and asked if I’d like to try their new Picaboo X software. I’d never tried Picaboo before, but I had read about the debut of their new lay flat Madison photo books so I was looking forward to giving it a try. In terms of subject matter, I’ve finally started to shift from making wedding photo albums to working on photo books featuring our honeymoon. For the Madison book, I decided to make a “highlights” book of our honeymoon. My new hubby and I traveled to a part of the world we had never been to before – Australia and New Zealand. It turned out to be our most favorite vacation to date with the most memorable part for me being the Great Barrier Reef and his favorite part, being able to play with kangaroos and wallabies. We went for about 2.5 weeks and despite being advised it may be too much ground to try to cover, we managed to visit a part of both countries and journeyed through an extreme of temperatures, from 80s in Port Douglas to 30s in Queenstown. The first honeymoon book I created was my underwater adventure in the Great Barrier Reef – featured in my review of Apple Aperture. Picaboo’s newest software, called Picaboo X was released this past April 2010. I never tried the prior version (Picaboo 2.5) and I read on Picaboo’s site that any books created in the earlier software are not compatible with the new software, but that you can have both versions of the software running. The new software is compatible with both Mac and PC platforms and requires a free download of Adobe AIR, a process that initiates directly from Picaboo’s site. After the short download, the program runs on your desktop and doesn’t require you to be connected to the Internet to work. Jumping into the book designing process is very quick. To start, you select the theme you wish to use. There are 16 themes such as wedding and travel related themes with some additional options under the main headings. Then you select the folder where your photos are located and after a speedy upload (the 619 photos I started out with ended up taking only 1 minute and 17 seconds), you can go right to creating your photo book. Unlike many companies, you don’t have to upload full-sized versions of your photos before you can start. That’s a great feature to have – sometimes when you’re ready to get to work, you just want to start and not have to wait for a lengthy upload which in some cases can take hours depending on your Internet connection. Picaboo X features fully customizable layouts and also preset layouts to choose from and they are all easily accessible on the left side of the workspace. What’s particularly nice is that you can change your book style midstream or at any time during or after the book creation process. Your interior pages remain intact so you can preview a number of different book covers and styles before deciding on a final style. If you like lots of background choices, there are 10000+ of them. A helpful zoom tool allows you to do a quick full size preview of the background and the “Favorites” tag allows you to mark the ones you like and place it in a separate folder so you can easily locate it when you’re creating the layouts. You can also add the background to your photo tray located at the bottom of the workspace for easy access. The embellishments offered include some crazy looking photo corners. In program photo editing includes, zoom, move, brightness, contrast and saturation. A red eye removal tool is offered, as well as a tool to convert your photo to black and white or sepia versions. You can also add a border or shadow to the photo. Borders are available in any color you select. 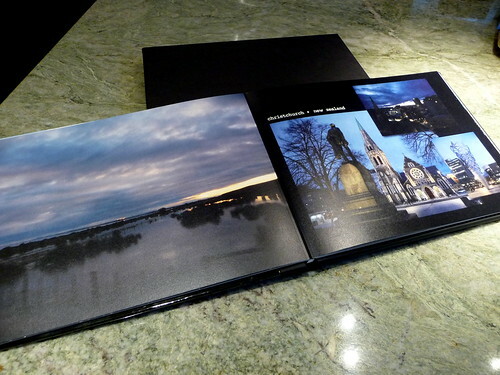 6) Being able to change book styles at any time is a great function not offered by many photo book companies. This makes it easy to order different versions of the same book as gifts without having to recreate the whole book. This would be useful for instance if you wanted to keep a more expensive version of a book for yourself but still be able to give more affordable versions as gifts. Not that your recipients don’t deserve the very best, but you may not want (or afford) to give a $300.00 version of your baby’s keepsake book to every grandparent, auntie and uncle, but you still may want to give a just as memorable $30.00 version. 2) Given the lack of precise alignment tools, it would be helpful if the cursor keys would function. That way at a minimum you could be sure that if you were moving a photo box 1 keystroke (1 space), you could do the same to an adjacent box and they’d line up. 4) Since the Madison book is a lay flat book, it would be nice to have a way to create an instant two-page spread within the program – you can do it, but it has to be done completely manually, which can be hit or miss. 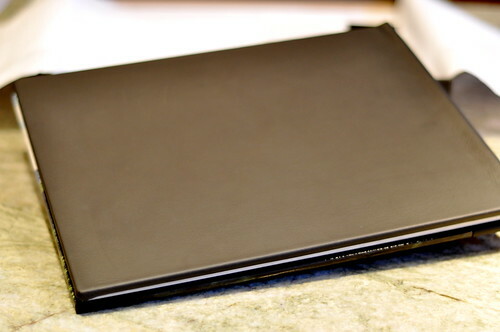 The Madison is unlike most photo books you’ve probably seen from well-known printers such as Shutterfly and MyPublisher. 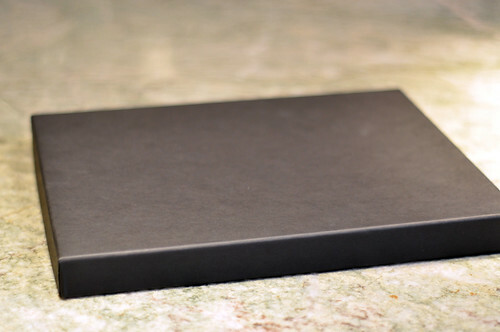 One noticeable difference from the get-go is the matte black presentation box the book arrives in. The box lined with white tissue, gives a professional touch to the book as well as the vellum pages in the front and back of the book. The cover features a high-gloss laminated custom photo of your choice with your pick of 5 different colors of leather: black, brown, coffee, red or pink. The full-grain glove leather wraps from the front, across the spine and completely covers the back. The spine is not customizable. The pages are printed on 110 lb. archival quality card stock. But don’t be fooled by the 110 lb. paper weight, as the numbers may lead you to think that the paper is just slightly thicker than a typical 100 lb. photo book. These pages are thick and heavyweight – you can’t really compare card stock to regular paper. The paper is matte (not reflective and glossy) but has a pearlescent finish. If you tilt the pages you’ll notice a pearly sparkle to the paper. This is a very specific look, so you may or may not like it. I did like how it added a pop to my landscape photos. As for its effect on skin tones – the sparkle reminded me of Edward in the sunlight in Twilight – I guess we can all have a little vampire brilliance then… Overall, I liked the paper quality – it reminded me of the paper you’d find in an artist’s portfolio. The print quality was good but hard to compare to other photo books as the paper is so different. The photos were a bit darker than what I saw on my screen, but the colors were well saturated and faithful to what I saw in the preview. The preview was also reliable in showing where the full bleed images would be trimmed. The pages lay flat and the book has a very thin gutter in the center of about 1/16″. The book appears well-constructed and sturdy. Lastly, as far as logos go, this one is nice and subtle. 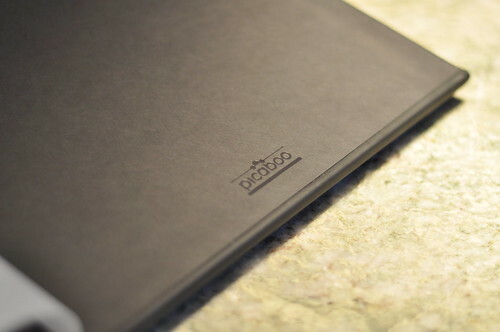 The Picaboo logo is debossed (creating an indented impression) into the inside back cover of the Madison. I found the Picaboo X software easy to use and well-designed for easy navigation. Fully customizable layouts are a plus and are increasingly becoming a requirement for many photo book enthusiasts as I’ve noted from all the comments and e-mails that I’ve been getting. The lack of an alignment tool keeps the software from getting top marks, but I did find out from Picaboo that an alignment tool is in the works. The timeline for its addition to the software is not certain at this point but I’ll be sure to keep you posted. Keep in mind that this review is for the Madison book. 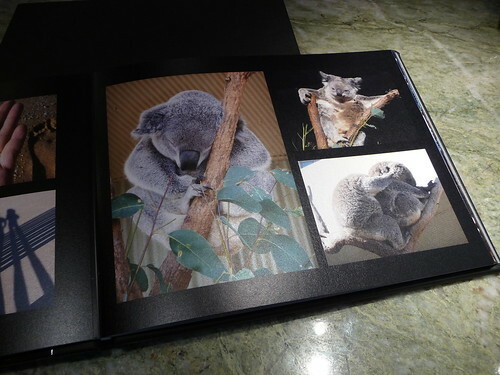 Picaboo has several styles of photo books ranging from $9.99 to $449.99 printed on various types of papers. So, while this software review should remain consistent across book styles, the actual printing and construction will differ. 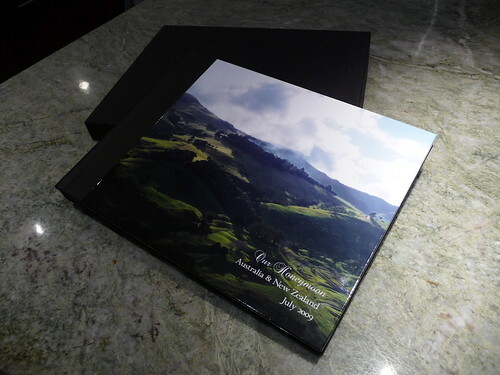 I’m currently working on the FREE 20-page large hardcover Classic photo book offer from Picaboo for new users, so stay tuned for a review on that style soon. The deal expires on 8/31/2010 10/25/2010 so you still have plenty of time to make your own book. Click on the link above or the ad below to make your own FREE photo book with Picaboo! Don’t worry if you missed that deal, see the latest Picaboo deal. If you’ve printed photo books with Picaboo before, or have a question about Picaboo photo books, please feel free to add your comment below. I personally have not used the two sites/software you mention, so I can’t speak to that, but I don’t see why you need to do the scrapbooking part if you don’t want to. All of these sites offer a straight drag and drop of the photos into preset layouts and in some cases preset themes, so if you find a layout you like, you can just go with that. If you look at my Apple Aperture book, that was a theme that I dragged and dropped my photos into and I just made minor layout changes. Very easy. So if you don’t want to use any embellishments and do-dads, then you don’t have to. You may have seen that most of my books mostly just focus on the arrangement of the photos themselves, with occasional captions to show location, and that’s about it. I concentrate on placing the photos in a complementary way and keep backgrounds and borders to a minimum. There’s no right or wrong way to make a photo book stylistically, so you shouldn’t feel like you need to do all the embellishing unless you want to. If you have photos on two different computers, it might be worth it to consolidate the photos on an external hard drive. Hard drives are so cheap now and depending on how many photos you have, you may well be able to store them on a 16 GB flash or jump drive for $15 to $20 tops and then you can have them all in one place for the upload. If you use a site like Mixbook or Snapfish I suppose you can upload from one computer into a gallery, then upload from another computer and then work on the books online – that should work too. I hope that answers your question. There are so many companies offering deals right now, you should be able to find one that’s easy and affordable too. Picaboo’s Madison book looks amazing! I can’t wait to try it out! I love this book, hope to try it out if I win the gift card! Very thorough review from the options to the ease to photo quality. 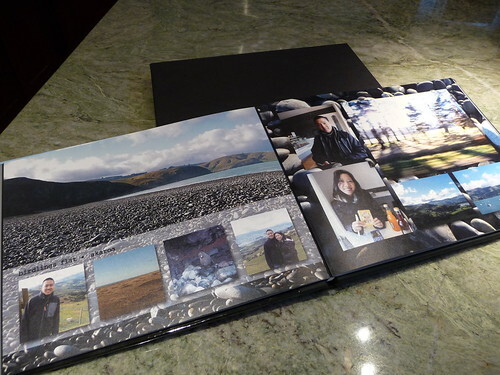 I’m just starting to learn about creating photobooks and so far have only created one on Shutterfly. I like that there are more customizable options on Picaboo and I will probably keep coming back here to refresh my memory on your tips when I use my Picaboo Groupon I got a little while ago. Thank you for being honest and impartial – keep it up! LOVE the presentation box and the lay flat pages. I think I’d use it for wedding pictures as opposed to honeymoon though. What a great job – wonderful layflat design. Nice that you have so many wonderful albums. I also really like picaboo’s customizing options. One of things I especially like is fading the picture as a background using the caption tools. I’ve done two books, and with one I thought the colors were too dull. 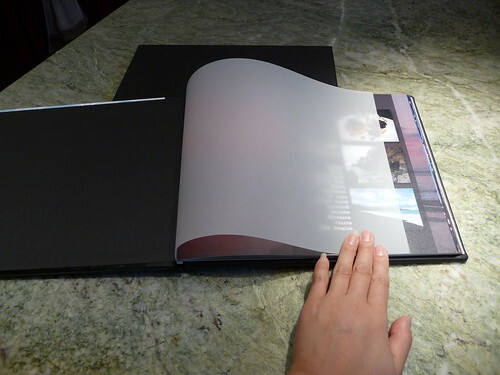 I just received my Madison photobook from Picaboo and I am extremely disappointed! 🙁 Most of the photos in my book are too dark to even see the faces. Also, the quality of the photos looks very grainy, even though they were originally taken with a digital SLR, so the original quality of the images are not questionable. I submitted a complaint to Picaboo customer service, and they responded by having me take a picture of the book and send to them, which I have done. The said they would get back with me, so I am still waiting. Overall, getting my book was a huge let down. For an original price of $166, it definitely wasn’t worth it in my opinion. Glad I had a Groupon, but I wish I had gotten one for a different company – Picaboo was disappointing. Sorry to hear – I didn’t have the same issues, so I hope they can offer you a solution or reprint it with better results! Hi PBG, I’m thinking of doing a Madison pretty soon. I have 1 question about the gutter. How much safety margin did you put in, and how much do you think got cut out? I have a not so good experience with MyPublisher lay-flat, about 3/4 inch got crop off in the gutter. I notice that the Madison has similar lay-flat binding and wonder how much do they crop it off too. Can you let me know? I didn’t put in any safety margin, and I didn’t notice any issues with the margins. 3/4 an inch does sound like a lot, but I don’t think that much got cut off for my photos. I am looking to make my wedding album and I wanted flushmount pages. Would you say that the quality of the Madison is similar to the flushmount option with Picaboo? Would you use this company for your wedding album? If not, who did you use? I haven’t ordered the flushmount with Picaboo before, but I have with another company (see MyPhotoCreations flush mount review). 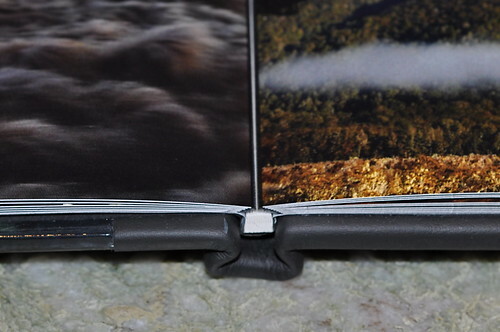 You really cannot compare flushmounts with other photo books. I consider them to be in a class by themselves. You’ll also notice that flushmount prices are considerably more expensive than other books – there’s a reason for that and like many things, you get what you pay for. If you’d like to see all the wedding books I printed, check out my special wedding photo books section. You’ll see where and how much various levels of photo books cost and you can definitely find one that fits your specifications. 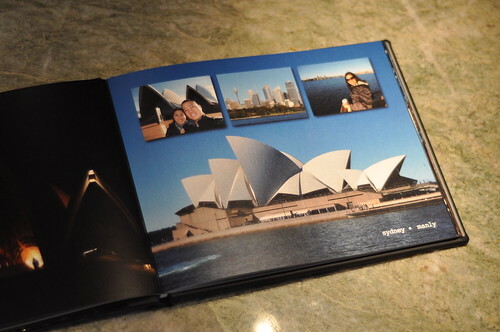 I used the Madison for one of my honeymoon photo books and it came out very nice. I would definitely recommend using a Groupon if you go with Picaboo and remember to check out the photo book deals which can really save you money on photo books. Best of luck with all your photobooking! Just a head’s up to anyone who might be thinking of ordering a Madison book–they have significantly lowered the quality of the paper. 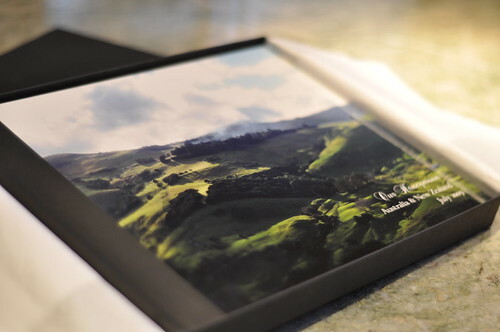 Based on PBG’s excellent review, I ordered a Madison to showcase our New Zealand/Australian honeymoon, which was so great that I decided to use the same style for our wedding album. After spending hours creating the perfect album and submitting my order, I was SHOCKED to find out that the Madison longer prints on the lovely pearl cardstock… instead they sent me some crappy semi-gloss paper which made all my pictures look muddy. I am so furious at Picaboo, because my album cost over $250 and the quality is dreadful. I am returning it despite the huge time investment I made, and am writing an email expressing my unhappiness. I doubt I will order from them again, which is a shame because I did like the software. Sorry to hear about your bad experience. I wonder when they changed their paper? That is so odd. I’m going to email them and see when that happened – and I’ll have to put a big update on this post so folks are aware that the paper changed. Thanks for letting me know. It must have happened sometime between March, when I placed my first book order, and June. Customer service is checking to see if they have some of the heavier paper in stock, so I’ll keep you posted. Thanks for making such a great site, btw! If Picaboo can’t reprint the book, do you have any suggestions on a similar style through another company? Flush mount is a little fancy (and expensive) for us, but I definitely want something printed on high-quality paper. I found your review very helpful, but wanted to let you know that the book now starts at 199, not 129. This is very discouraging b/c when I bought the groupon I wanted to use, the book was 129 (the total amount of the groupon). Thanks for your message – looks like they made a lot of changes to pricing recently. Looks like I’ll have to do some updating! The Madison has gone from a base price of $99 at one point and now it’s doubled! Wow – that’s some serious price increase! I thought I should give everyone a heads up that I spoke with someone at Picaboo, and if you started your Madison book before they raised the price, they will still honor the old price if you order before 09/30. Thanks for the info Tracy! I got my Madison today and I’m having mixed feelings. Let me start with the fact that the book was regular price $250, but with the groupon, I was all in at $80. If I had paid $250 for this book, I would be very upset right now. I liked the box it came in and the production/shipping was very fast. I only waited a week for everything from the day I submitted. One thing that kind of threw me off, was when I ordered the book, I “talked” with one of their on-line customer service agents and asked if someone looked through everything before production to make sure there were not blatant problems with the layouts or anything else. Their response was that normally they would, but they are too busy to do that right now. This seemed odd to me. Anyways, back to the book. I think the pages are a little lack-luster (someone else mentioned this as well). I have print outs of the exact photos in this book, and the 8×10 prints are so much more colorful and vibrant than what is in this book. The pages seem very dull. 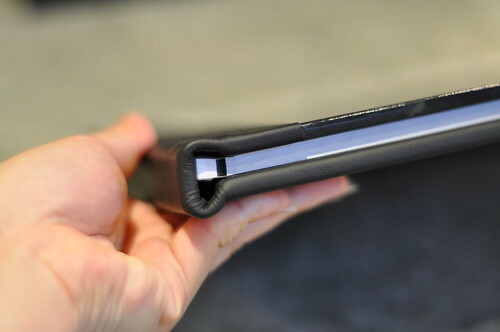 Also, the binding is fine, but the actual cover is a photo and then the side and back are wrapped in leather. The leather is almost kind of loose on the binding, and looks kind of cheap. So, all in all, I think the book is ok, but it’s not my favorite and I’m very glad I did not pay full price. Also, I noticed a few people mention that they were looking at the Madison instead of a flush mount album. Just as a heads up to those people, this album is not even close to as nice as a flush mount album. Well that explains why when I bought the groupon a year ago the book was $129 and now it’s $199. Can’t decide if I want to fork over that much money or drop down to the regency book but from what you’ve described here it sounds like I would get my money’s worth! Just to let you know, you have to order your Madison before the 30th for them to honor that price. That is really dependent on your budget. How many pages are you looking to make and what is your budget range for the book? Have you checked out my series on wedding photo books? Can you add full 2 page spread as primary photo or background with the piccaboo program? Are the pages in the madison book of the unbendable variety? I am looking to make a high end photo album of my son’s Bar Mitzvah – leather bound, lay flat pages, full two page photo spread and preferably unbendable pages. Besides Piccaboo, what are your other recommendations? Flexible budget. Yes, you can do 2 page spread and use your photo as a background with Picaboo. The Madison pages are not unbendable. They changed their paper (see update notes in review) so the paper is the same as their standard books, so I would not recommend Madison if you want unbendable pages. If you have the budget – $250 and up try a flush mount album – that’s the best quality and most professional looking. 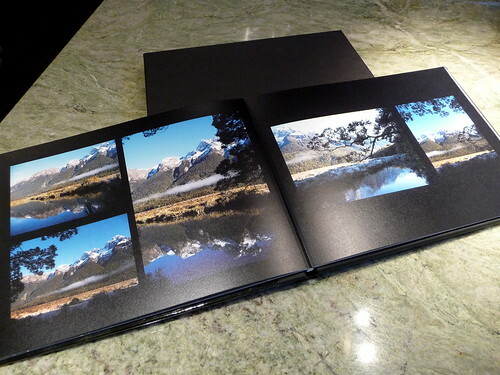 If that’s too much, AdoramaPix makes a book with stiffer pages, but they still bend. 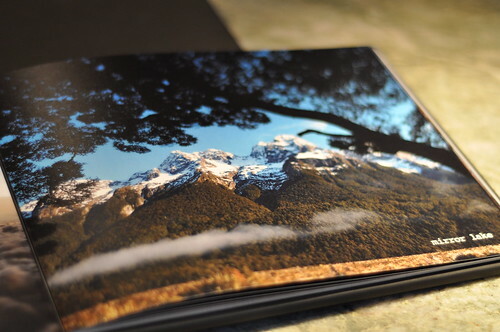 They have leather covers, printed on real photo paper and lay flat. Here’s a link to my other blog posts on flush mounts that will also help give you some ideas about those types of books: http://www.photobookgirl.com/blog/tag/flush-mount-photo-album/ Best of luck on your book! I just received calendars that I made using Picaboo. I’ve been making these calendars for our family for about 5 years now. In the past I used Shutterfly, but had a Groupon for Picaboo. I also had a groupon for my photobook, good thing. I normally use Shutterfly and Picaboo’s is more difficult to figure out. I worked a long time on my book, making sure everything was perfect. Then I got it in the mail. The cover background was not there, it was completely white. The picture was there all alone on a white background. I had text in white so it did not show up. I immediately contacted them on their live chat not anticipating the problem I would have. Basically they said that’s what they show so there’s nothing they will do. I called them and got the same results. I asked to talk to a manager and was told they would call me back within 48 hours. 48 hours would have been late on a Friday. I gave them until the following Tuesday and called back only to be put on hold for 10 minutes and then a recording asked me to leave a detailed message And they would return my call within 24 hours. I did and told them I was waiting for a manager to call me. Finally on Friday I received an email from a manager. They are going to reprint my book but what a hassle. Their customer service is lacking. I will not use them again. I’m so excited! Always wanted to try Picaboo but went the route of sites with better deals. Now, Amazon local is featuring 20 lay flat page hardcover classic books for $20 including shipping! Can’t wait to try it! I want to use: Adoramapic Hudson for my Wedding Album. Are there any specials ? Cat, we have exclusive deals from AdoramaPix on our blog all the time. Check out our deals page.